North Carolina lawmakers gave up their fight yesterday to keep some judicial candidates from appearing on the November ballot with their party labels. The state Court of Appeals declined earlier in the week to stay a lower court’s ruling that Chris Anglin, a registered Republican running for a state Supreme Court seat, and Rebecca Edwards, a registered Democrat running for a Wake County District Court seat, could remain on the ballot with their chosen party label. An attorney for lawmakers notified parties to the cases that they would not seek Supreme Court review. “Petitioners strongly disagree with [the Court of Appeals] determination, but, in the interests of allowing the Bipartisan State Board of Elections and Ethics Enforcement to finalize the content to appear on the ballot and to avoid unintentionally furthering voter confusion about the status of these candidates or the ballot itself, Petitioners will not seek further review of the trial court’s preliminary injunction order in this Court,” the court document states. Anglin used to be a registered Democrat and Edwards used to be a registered Republican. Both changed their affiliation before filing for judicial candidacy but according to the law at the time. Lawmakers had retroactively enacted a law mandating a 90-day registration requirement for judicial candidates but the lower court ruled it violated Anglin’s and Edwards’ constitutional rights. 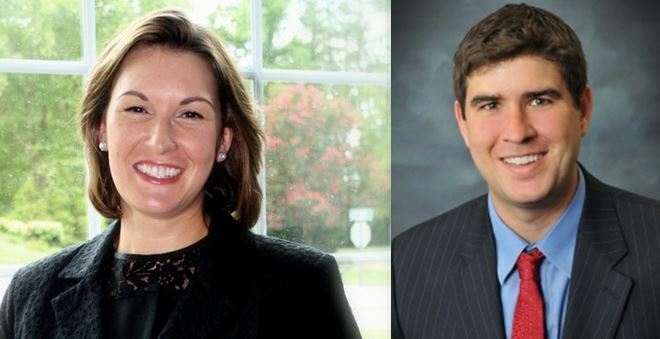 The State Board, which must begin ballot preparation and printing by Saturday, agreed to treat the other two affected judicial candidates like Anglin and Edwards, so all judicial candidates will have their party label listed on the ballot.